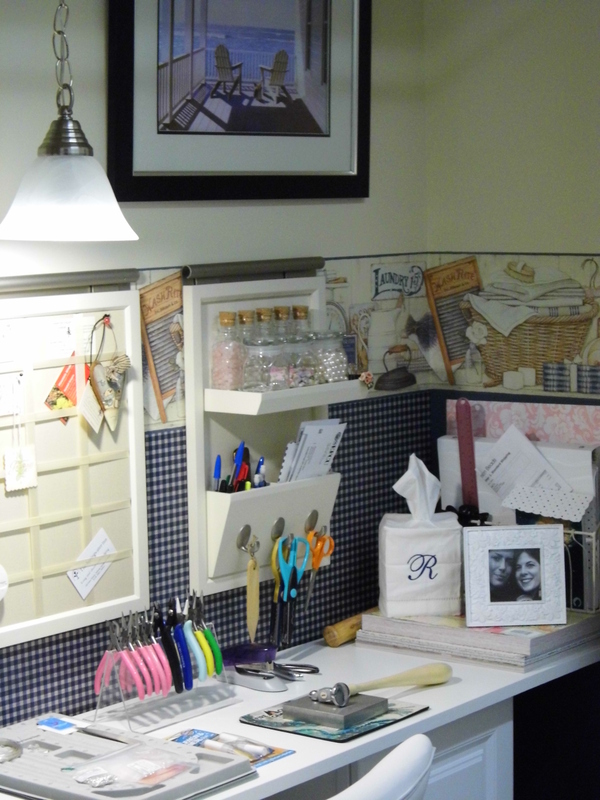 My new jewelry space was a labor of love from my wonderful husband. This was once a closet my husband took the doors off and all the shelving came down. 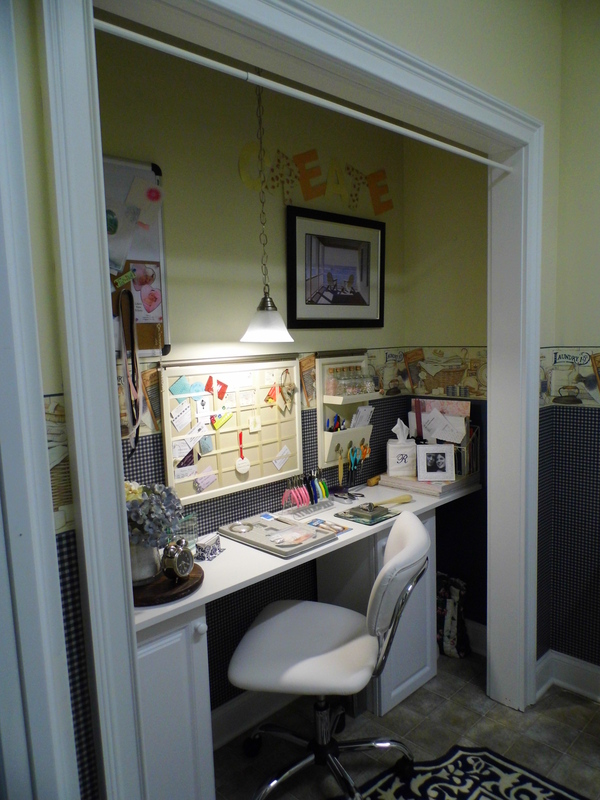 He painted the space to match the laundry room – added the same wallpaper and border. 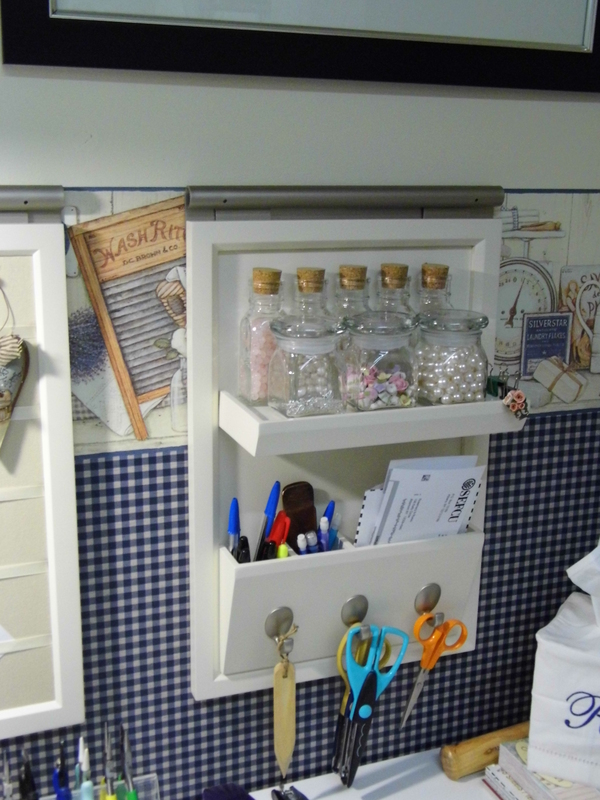 Used two kitchen cabinets centered them inside the space. Purchased a long piece of formica for the work space. 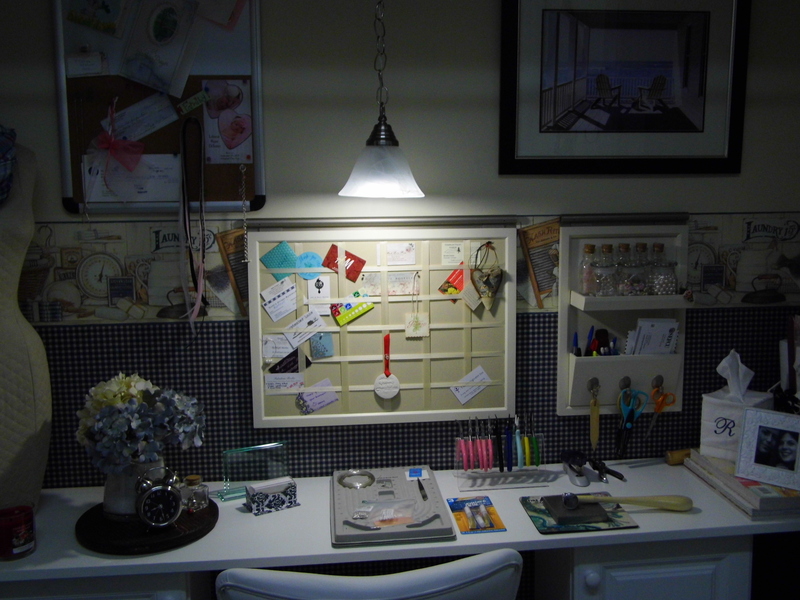 Put in task lighting, and the rest is history. 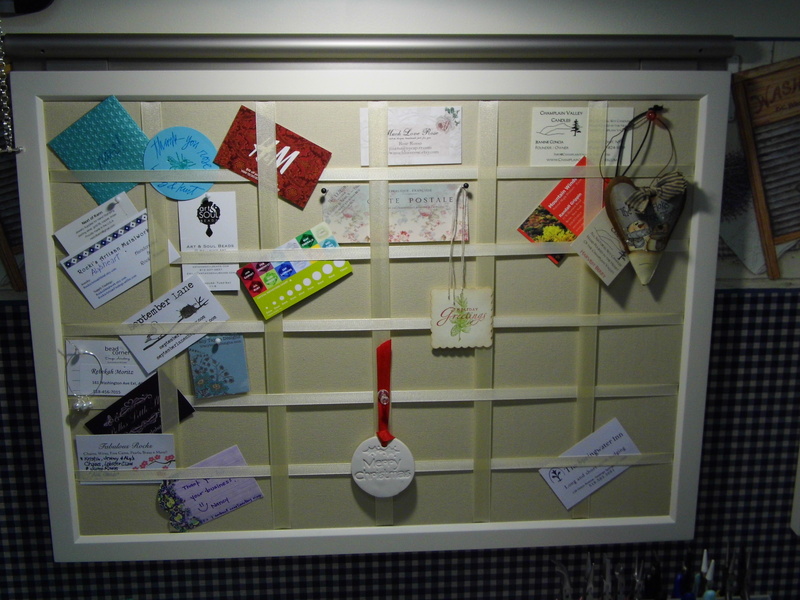 Bulletin board – Purchased at Pottery barn. Perfect for holding all the business cards I receive. 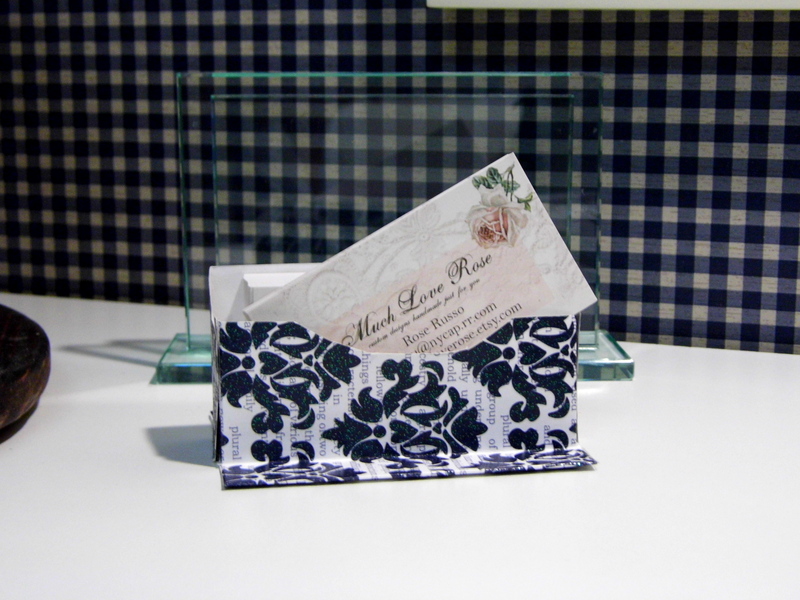 This was also part of the organizing – another purchase from Pottery barn. Holds some of the beads I use often.